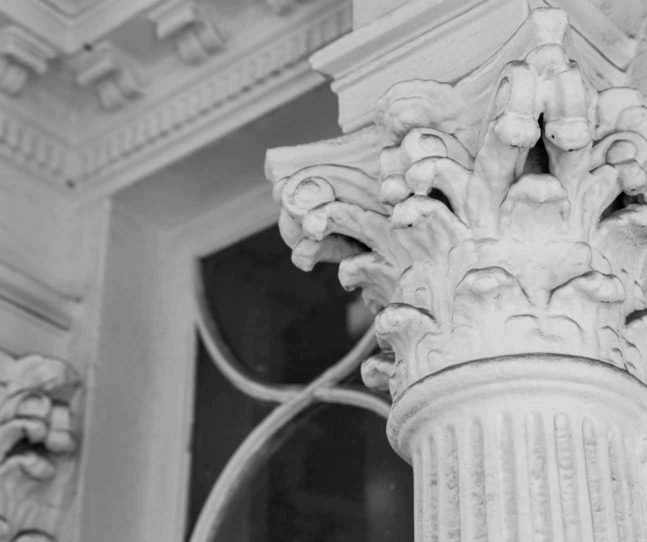 In light of the ongoing government shutdown, the Peabody Essex Museum warmly invites furloughed federal employees to explore our galleries free of charge. 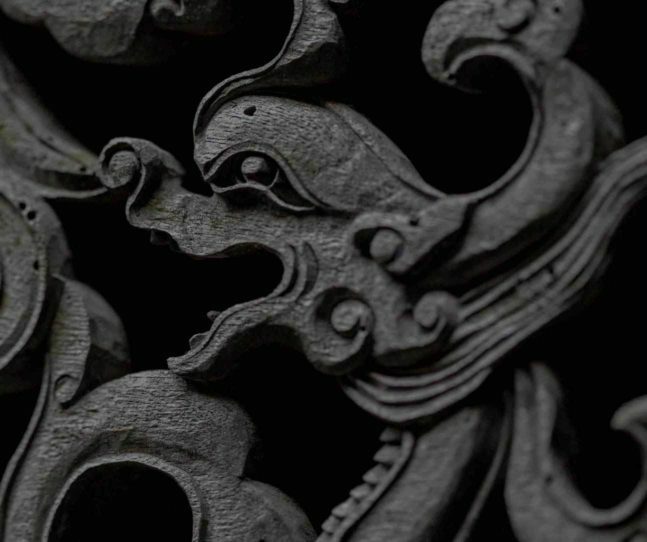 They can catch the final weeks of PEM’s headlining exhibition, Empresses of China’s Forbidden City, or in our American Decorative Art galleries, they can ponder a relic of another (seemingly more successful) attempt to stall the government. 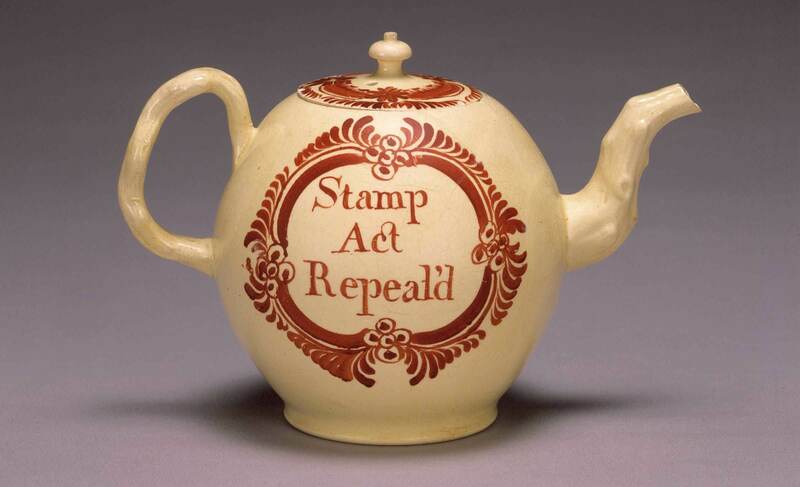 Teapot, "Stamp Act Repeal'd", 1766. Cockhill Pit factory, Derby, England. Lead-glazed earthenware, hand-painted earthenware. Gift of Professor Richard C. Manning, 1933. © Peabody Essex Museum. In 1765, in an effort to increase revenue from the colonies, the British government passed the Stamp Act, a tax on paper goods including legal documents, newspapers, and playing cards. This prohibitive tax touched virtually every part of the colonial economy, prompting outrage from publishers and lawyers to workers looking to unwind. After months of mostly anonymous criticism in Boston newspapers, a protest overtook the streets on August 14, 1765, beginning with the hanging of local and royal political figures in effigy at the Liberty Tree. 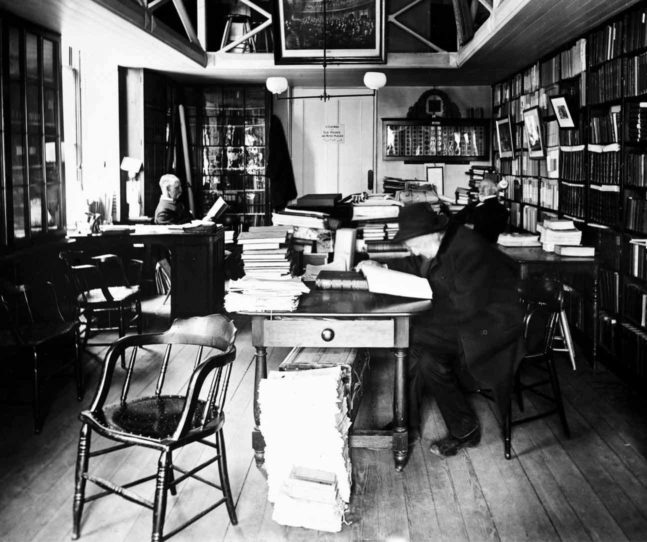 Soon after, a mob formed and destroyed the building designated for Stamp Act business and then went to the home of newly appointed Stamp Master, Andrew Oliver, and compelled him to resign his post. 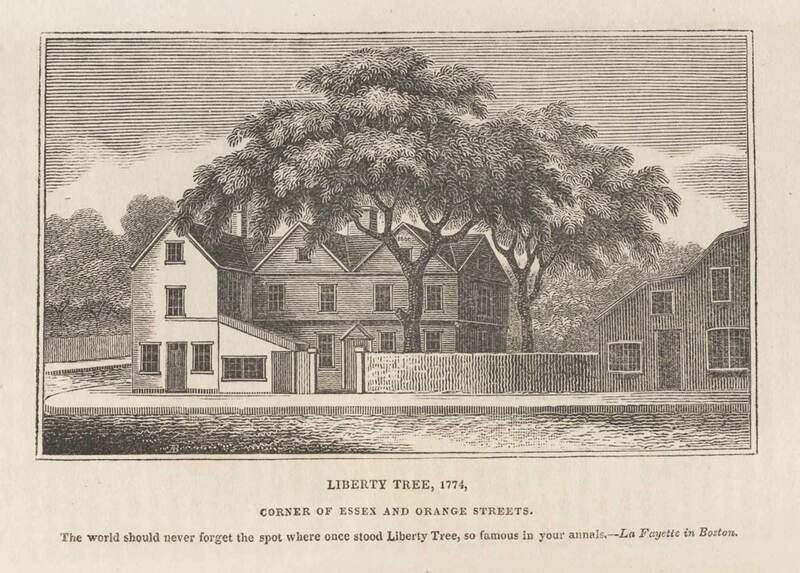 Illustration of The Liberty Tree in Boston. From A History of Boston, the metropolis of Massachusetts, from its origin to the present period, by Caleb H. Snow. Published in Boston by Abel Bowen; printed by Munroe and Francis, 1825. Houghton Library, Harvard University. 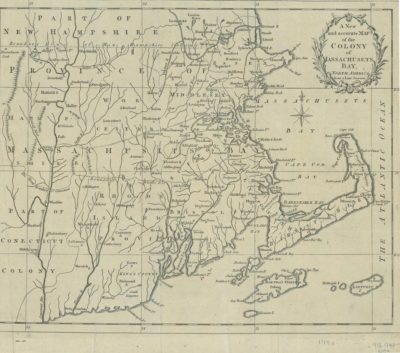 "A New and accurate Map of the Colony of Massachusetts Bay, in North America from a Late Survey", 1780. Ink on paper. © Peabody Essex Museum. The mob, now almost one thousand strong, continued to the home of Thomas Hutchinson, Lt. Governor of the Massachusetts Bay Colony, Andrew Oliver’s brother-in-law and—rightly or wrongly—the man held responsible for the Stamp Act in Massachusetts. They chanted “liberty, property and no stamps!” while threatening the politician’s home with destruction. While they were dispersed by a neighbor who convinced them that Hutchinson was not home, the protesters returned twelve days later, ransacking Hutchinson’s home, guzzling the contents of his wine cellar, destroying his papers and furniture, and leaving little more than the mansion’s frame behind. While anti-Stamp Act politicians denounced the actions of the mob that August, their ends were achieved through the violence. The Stamp Act never went into effect in Boston. Though scheduled to be implemented on November 1, 1765, the forceful shutdown of the stamp-distributing government office and public resignation of its agent meant there was no means to acquire stamps, and so the act was not enforced. It was formally repealed the following March, and the teapot on view in PEM’s galleries was made to commemorate one of the first in a long line of colonial victories leading up to the American Revolution.